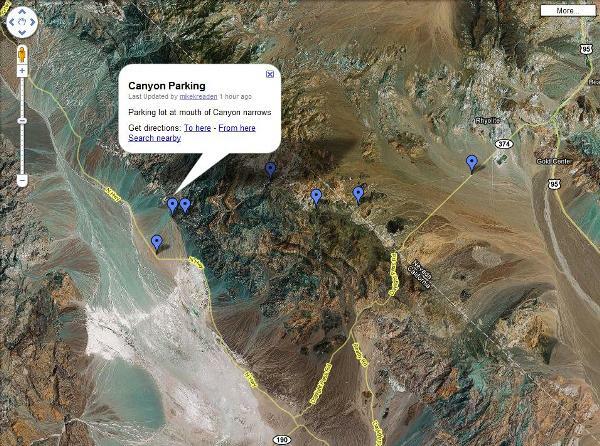 Every year for the past 5 years, I make the trip to Las Vegas en route to Furnace Creek in Death Valley, California. This trip will be #6 for me. 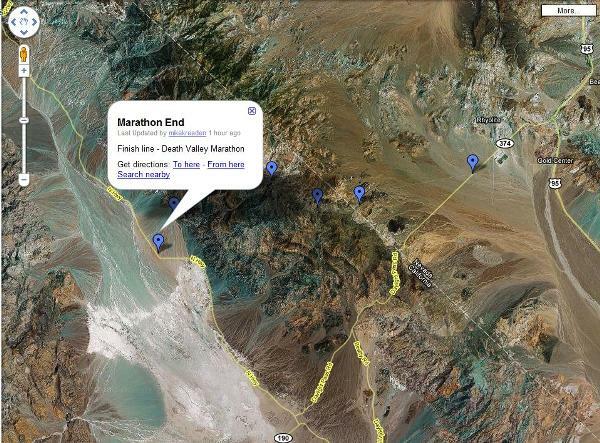 This race is not to be confused with the Badwater “Death Valley” Ultramarathon 135 mile or 215 km race in July! Trail running doesn’t get any better than this wide, jeep road twisting through the towering red rocks of Death Valley’s Titus Canyon. Only 300 lucky runners get to experience this unique event each year, and those entrants usally apply for the next year’s race right after the race. In case you’re wondering… NO, I do not run marathons. I did run 5 marathons between high school and College, 3 of them sub 4 hours. Today, I volunteer my time and drive the support vehicle though the twisted course. All future rentals were AWD, by the way. 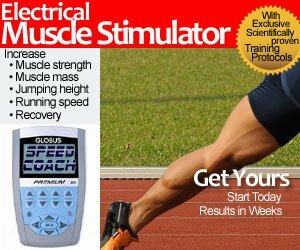 The fact that runners have been coming back for this event for exactly 20 years must mean something! 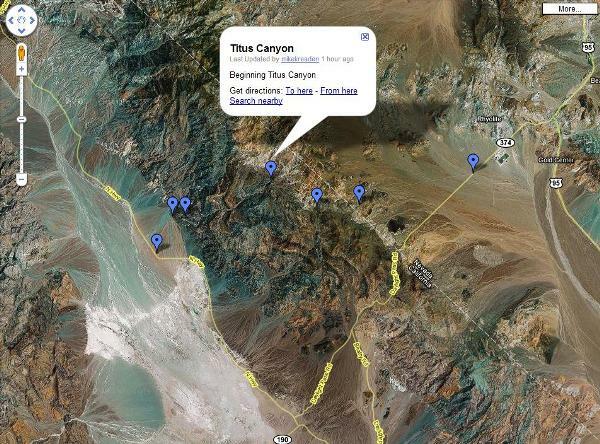 This is a scenic wilderness trail run on a gravel jeep road from Beatty, NV (off I-95) through the picturesque Titus Canyon, to the finish in Death Valley. 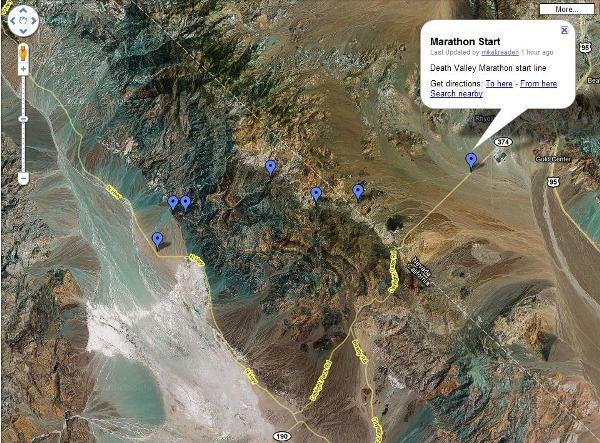 The entire run is in Death Valley National Park. The desert is beautiful this time of year with mild temperatures; lows at night between 30 and 40 degrees and highs during the day from the low-60s to mid-70s. This year’s forecast is in the high 70’s and low 80’s! This is a spectacular trail event and well worth the weekend away! You can always drive from Bakersfield, but I prefer Las Vegas. The Marathon begins on Titus Canyon Rd. at Hwy 374 at 3,400 feet and climbs its way to Red Pass at mile 12 (5,200 feet), before descending 5,000 feet over the final 14 miles to the finish (200 feet) at Scotty’s Castle Rd. 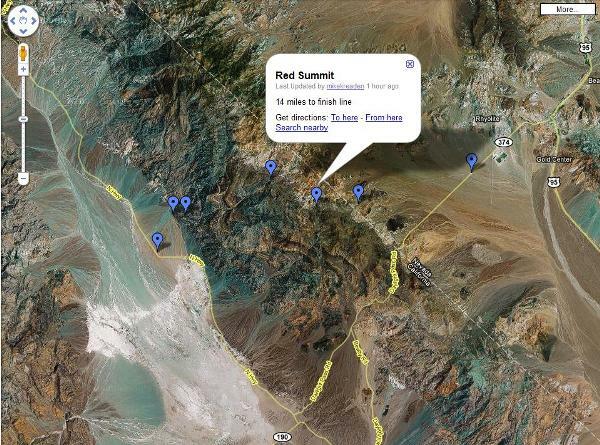 You will pass the Nevada-California state line prior to the Red Pass Summit, as seen in the photographs below. The 30K course is the final 18 miles of the Marathon. Starts at White Pass and begins with a 200-foot descent. A 500-foot climb to Red Pass makes you grateful for the final 14-miles of downhill to the finish at Scotty’s Castle Rd. Words cannot describe this journey, so I thought a few Google Maps might give you a feel for the race. This race sounds intense! I have yet to run a marathon and this one sounds like one of the hardest. 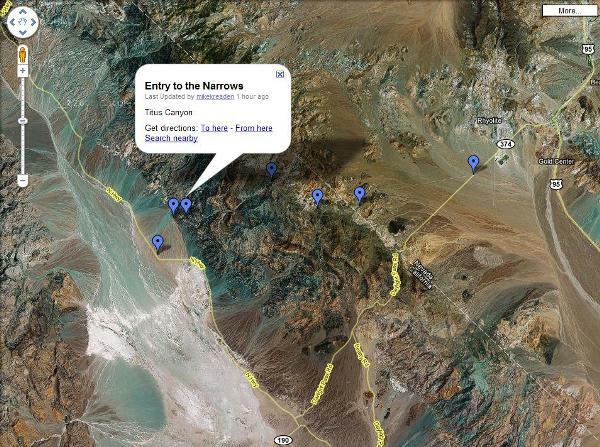 It looks like it’s in the mountains so there might be hills but the fact that it’s in the desert makes it even worse. I never liked running in the heat, but this would be the most extreme situation. I guess you don’t have to worry that much since you’re only driving the support vehicle..